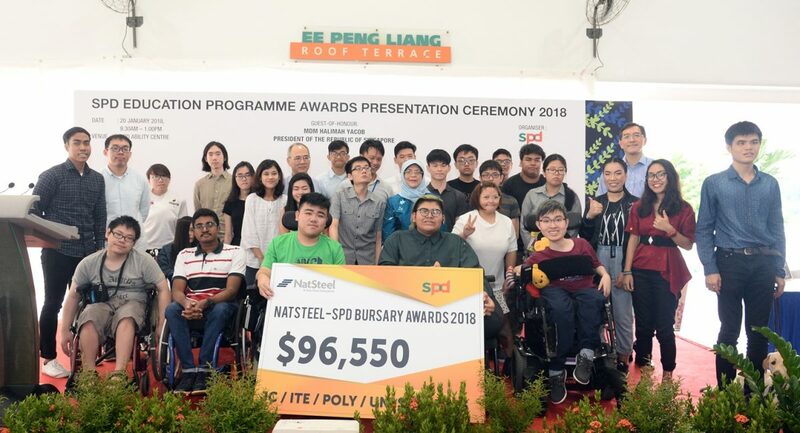 The Natsteel – SPD Education Programme Bursary Awards enable students to focus on their education in mainstream schools, by alleviating the financial burden of the families. Students must have a physical or sensory disability, i.e. hearing or visual impairments, to qualify. The quantum of the grant ranges from $300 per year for primary level to $850 per year for ITE level. For enquiries or more information, please contact us here.